Putting on a good face! 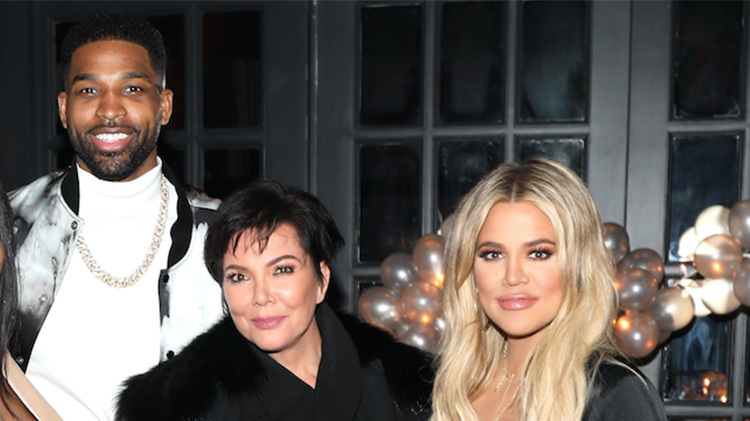 Kris Jenner opened up about whether or not Tristan Thompson fits in with her famous family and the momager's answer was a tad awkward. "Tristan's, yeah, he's great," she told E! News. Uhh…do we sense some hesitation here?! The 62-year-old was then asked about Khloé Kardashian and Tristan's current relationship and couldn't exactly dodge the question. "I think you just have to be there for your kid and follow their lead," Kris explained. "I'm not in that relationship or in that situation, so I really trust Khloé. She's so smart and such a great girl, and she'll figure it out." This all comes more than two months after Tristan was caught cheating on Khloé days before the 33-year-old was set to give birth to their first child, True Thompson. Video footage of Tristan making out with Instagram model Lani Blair at a NYC club quickly went viral. And, unfortunately, that wasn't the end of it. Additional footage was released of Tristan kissing and motorboating two different women at a club in October 2017, in Washington, DC — Khloé would have been three months pregnant at the time. Since welcoming their daughter into the world on April 12, Khloé and Tristan have put on a united front. She supported him during the NBA Finals and lashed out at haters on the Internet who recently questioned her love life with Tristan. Koko even stayed in Cleveland and continued to live with her serial cheater boyfriend post-scandal so they could both focus and spend time with their child. As for Kris, she just can't wait for Khloé to get back to the city of angels. "When [Khloé] comes back [to LA] I'll be thrilled!" she told E! News. "Of course, I miss her. I need to get my hands on that little True. But I've been there a couple times getting my fill, and we FaceTime every day so it's a lot of fun." Despite wanting to be with True, there's no telling how Kris' attitude toward Tristan will change once Khloé makes the move back home. And although she might be downplaying the situation now, Kris and Kim Kardashian totally slammed his actions when they previously appeared on The Ellen DeGeneres Show. While Kris couldn't hold back tears, Kim called the situation "f–ked up." We have a feeling Tristan might not fit in with the Kardashian-Jenner crew as well as he once did. Watch out, T.